If Collin cannot find a way to change the course of their history Adrian's very life may be forfeit. Clock Strikes: Collin has loved Adrian for more than a decade, but the only way a Neko is allowed to leave the island is to become a pet to a demon master. Adrian has secretly lusted after Collin since they first met, but their relationship is forbidden. With the rebel army threatening to overthrow the royal council, Collin must decide whether to stay on Neko Island, or trust his future to the human world, and the Prince of the Demons. 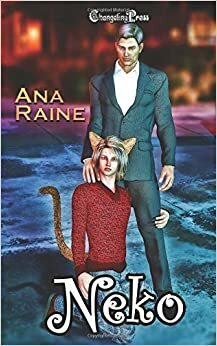 Answer is Near: Collin is as much in love with his demon master, Prince Adrian, as ever, but for a lonely Neko, Chicago is as strange and unbelievable as the fantasy realms of his childhood. Collin fears the rebels hold the key to the disappearance of his missing brother, Rolland. When Izumi, a new Neko pet, comes to Chicago, he and Collin become fast friends, but can Collin trust Izumi to help him find Rolland, or does Izumi have his own agenda? Crossing Fate: Although relationships between Nekos and demons are forbidden, Rolland and Porter have been lovers for years. Yet despite Porter's many offers, Rolland refuses to leave the island as Porter's pet. Lance offers Rolland the chance to join him as an equal. Is his freedom worth betraying Porter and the secret he vowed to keep? All That Remains: Collin and Izumi have served their demon masters faithfully and without question. But when it becomes clear the army rebelling against the monarchy threatens to destroy not only demon society but the lives of their masters, the two Nekos become determined to find the enemy's weakness. Now more than Adrian's reign as Prince of the Demons is threatened. If Collin cannot find a way to change the course of their history, Adrian's very life may be forfeit. Publisher's Note: Neko (Box Set)contains the previously published novellas Clock Strikes, Answer is Near, Crossing Fate, and All That Remains.